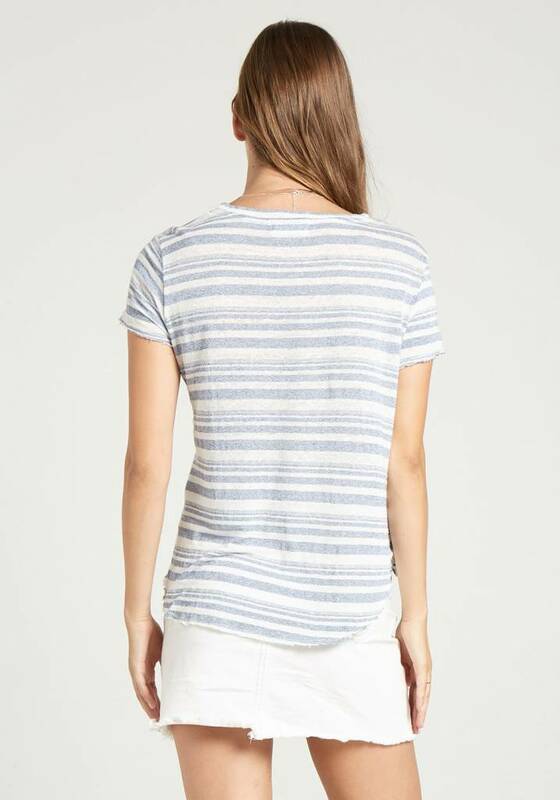 Sold at first sight, the Easy V-Neck Tee is an almost terry-like texture with a horizontal stripe print. Extra cute for a sporty day with tennis shoes and cropped jeans. 52% Viscose, 48% Linen.